IBPS RRB 2017: Latest Updates About IBPS RRB Has Been Released for CWE-VI Pre/Main Exam!!! Get all the Information Regarding IBPS RRB Notification, Exam Dates, IBPS RRB Application From Here: Institute of Banking Personnel Selection releases IBPS RRB CWE Notification every year for selection to the Officer Scale I, II & III and Office Assistants Posts. Now IBPS is going to conduct IBPS RRB CWE-VI Exam (Pre/Main) from September 2017 Onward and Interview will be held in the month of January 2018. So, candidates who want to apply for IBPS RRB CWE-VI Exam can get the whole details through this page. Institute of Banking Personnel Selection (IBPS) has announced the notification about IBPS RRB Recruitment. The organization has revealed the 15337 vacancies for the post of Office Assistant/ Officers Scale. Those aspirants who are interested in Institute of banking personal Selection Recruitment must apply for the vacant positions by submitting their IBPS application form through online mode. Last date to submit the application form is 14-08-2017. Appliers will have to go through the written exam and then shortlisted aspirants will face the personal Interview that will organize by the recruitment panel of the Organization. 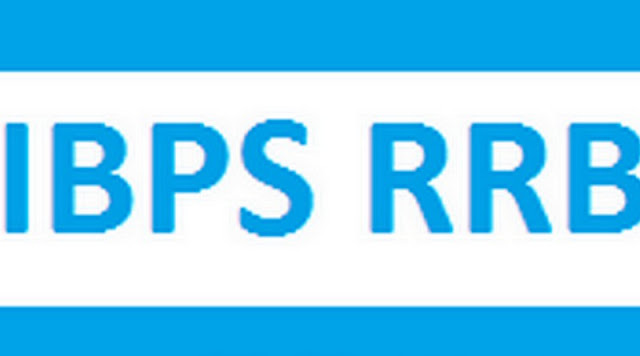 To get the rest details about the IBPS RRB Recruitment you should visit the below mention link. For Office Assistant (Multipurpose): Aspirants must hold Degree in any discipline from a recognized University or its equivalent and Proficiency in local language as prescribed by the participating RRBs and Knowledge of Computer skill is desirable. For Officer Scale-I: Contenders must hold Degree in any discipline from a recognized University or its equivalent. Preference will be given to the candidates having degree in Agriculture, Horticulture, Forestry, Animal Husbandry, Veterinary Science, Agricultural Engineering, Pisciculture, Agricultural Marketing and Cooperation, Information Technology, Management, Law, Economics and Accountancy. For Officer Scale-II (General Banking Officer): Applicants must have Degree in any discipline from a recognized University or its equivalent with a minimum of 50% marks in aggregate. Preference will be given to the candidates having degree in Banking, Finance, Marketing, Agriculture, Horticulture, Forestry, Animal Husbandry, Veterinary Science Agricultural etc. For Officer Scale-II (Specialist Officers): Degree from a recognised University in Electronics / Communication / Computer Science / Information Technology or its equivalent with a minimum of 50% marks in aggregate. Certificate in ASP, PHP, C++, Java, VB, VC, OCP etc is desirable. Certified Associate (CA) from Institute of Chartered Accountants of India for Chartered Accountant. Degree from a recognized University in Law or its equivalent with a minimum of 50% marks in aggregate for Law Officers. Degree in Agriculture/ Horticulture/ Dairy/ Animal Husbandry/ Forestry/ Veterinary Science/ Agricultural Engineering/ Pisciculture from a recognized university or its equivalent with a minimum of 50% marks in aggregate for Agricultural Officer. For Officer Scale-III: Aspirants should possess Degree in any discipline from a recognized University or its equivalent with a minimum of 50% marks in aggregate. Preference will be given to the candidates having Degree/ Diploma in Banking, Finance, Marketing etc. For Office Assistant (Multipurpose): Minimum age should be 18 years and maximum age should be 28 years. For Officer Scale- II: Minimum age should be 21 years and maximum age should be 32 years. For Officer Scale- III: Age of candidates should not be less than 21 years and not more than 40 years. Selection of candidates will be done on basis of their performance in Online Exam (Preliminary & Main) and Personal Interview which will be conducted by selection panel after screening of application. On home page of official site go to “CWE RRBs” section and hit the link. On next page hit on “Common Written Examination-Regional Rural Banks Phase VI” link. Those candidates, who have registered before, need to select “Login” link directly and fill the form with all necessary information. If you are new user then hit on “New Registration Link” link and fill the basis information. After that a provisional registration number and password will be generated by the system and displayed on the screen and now fill the form with complete details. Make payment of application fee through online mode using Debit Cards (RuPay / Visa / MasterCard / Maestro), Credit Cards, Internet Banking, IMPS, Cash Cards / Mobile Wallets. After completion of form check form at once and press on “Submit” button. Use a recent passport size color photograph while filling online application form. Photograph dimension should be 200 x 230 pixels. File size is prescribed as 20 KB to 50 KB. If scanned image size comes out to be larger than 50 KB, please adjust scanner settings such as DPI resolution, colors used to reduce file size. Sign using a black ink pen on a white sheet. Signature dimension is prescribed as 140 x 60 pixels. Size of scanned signature image file must be between 10 Kb to 20 KB. Call Letters for online preliminary examination will be released in the month of October 2017 for Officer Scale-I Post and November 2016 for Office Assistant Post. The Centre, venue address, date and time for examinations and interview will be intimated in the relevant Hall Ticket. Willing contenders must download his/her call letter from the authorized IBPS website www.ibps.in by entering his/ her details that is Registration Number and Password/Date of Birth. No hard copy of the call letter/ Information Handout etc. will be sent by post/ courier. Institute of Banking Personnel Selection declares IBPS RRB Exam Result in the month of November 2017 for Online Preliminary Exam. The Institute will be declared Main examination result in January 2017. Candidates who are going to participate in exam may check the result through this page or you can also download the score card from official site through online mode. The corrected scores obtained by each of the candidates in different sessions (if held) will be normalized using equi percentile method. Contenders if you have any query regarding IBPS RRB 2017 then you can drop comment in comment box. You can also connect us on Face book and Google Plus to acquire capable interrelated information openly to your wall. Aspirants may open our site on regular basis to fetch upcoming information. You can also join us on Facebook / Google Plus to get most recent updates.